At NuEar, helping others reach their own potential for happiness and success through better hearing defines our mission of hearing independence. For our nation-wide network of dedicated hearing professionals and staff, this mission has gone beyond a passion to become our everyday purpose. Yet, did you know that several NuEar affiliates and staff members have been able to share this gift of hearing independence across the globe this year? 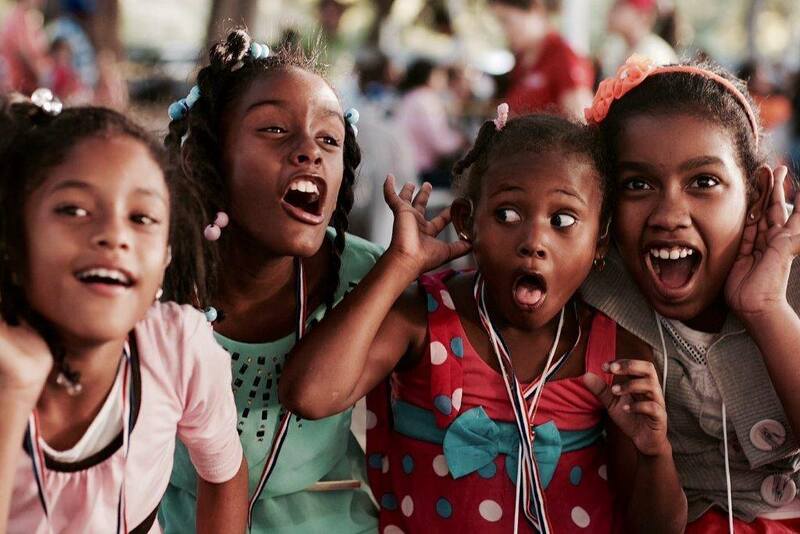 Below, we spotlight a few of the many efforts made in support of the Starkey Hearing Foundation’s domestic and international hearing missions. China, Ethiopia, Sri Lanka and many more distant destinations have been the landing spot for many NuEar network members this year so far to help in providing thousands in need of the gift of hearing. As you can see in the images above and below, these trips are no vacation. Yet, the countless hours spent each week in caring for and tending to the hearing needs of people at all ages is far more rewarding than a day on the beach. One long-standing supporter of these hearing mission efforts, Ret Templet of California Hearing Aid Center, shared his perspective on his commitment by stating, “It’s an incredible opportunity to reach those in need both locally and internationally to share the gift of hearing to those who couldn’t get it otherwise. It helps us truly appreciate the privilege we have to care for others and help improve their lives”. Pictured left, Ret is one of many NuEar partners that have continuously dedicated his time and resources to partake in several hearing missions. The NuEar support staff has been able to share in these incredible efforts as well. 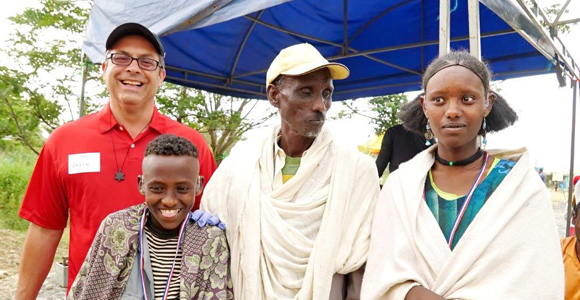 NuEar Sales Manager, Jason Horowitz, eloquently described his experiences in Ethiopia in a three-part blog series, sharing the range of emotions that went into each patient fitting. Of those he helped hear for the first time he expressed “when a fitting goes exceptionally well you see a person light up like a jolt of electricity shot through their bodies. It starts with the eyes, and travels to their mouths in the form of a smile. There is no other feeling like it in the world.” As displayed in his photo above, the young boy whom he helped to hear is smiling from ear-to-ear with his new-found ability and hearing independence. As you can see we believe the concept of hearing independence and the ability for one to pursue their own passions with the help of better hearing is something that all deserve. While our network of NuEar hearing professionals have dedicated themselves to helping as many individuals as possible in the communities they serve, this greater purpose has been able to bring them around the world to share that same compassion with so many in need. If you or a loved one could benefit from better hearing as well don’t hesitate to reach out to one our many dedicated hearing professionals across the country. Simply go to our Professional Locator page and enter your zip code to find the nearest provider to you. We look forward to creating an empowered life through hearing independence for you or a loved one as well!